If you suffer from dry skin or damaged hair after showering, you may be one of many people who suffer from excessive chlorine exposure. For general health use our shower filter to prevent the absorption of chlorine through your skin when you shower everyday. Chlorine is added to municipal tap water to kill harmful micro-organisms. But over-exposure from showering in chlorinated water can damage your hair and skin. It may also be bad for your health, especially if you already suffer from asthma or some types of eczema. Fortunately, most chlorine can be removed from water with a specialised chlorine filter. For use with mains pressure only, not low pressure systems. It’s quick and easy to install, and there’s no need to flush the filter before use. Once fitted, it instantly removes chlorine from your shower water, protecting you from excessive exposure to this potentially harmful chemical. The filter is reversible, which means you can extend the life of the filter by switching it around to reverse the water flow each month. Simply unscrew your shower head and screw the Slim Line Cartridge onto your shower arm then screw your shower head back on. Q: What does the shower filter remove? A: Our shower filters remove 99.99% of total chlorine and heavy metals. Q: How long does each shower filter last? A: Each filter will last approximately 6 - 8 months. 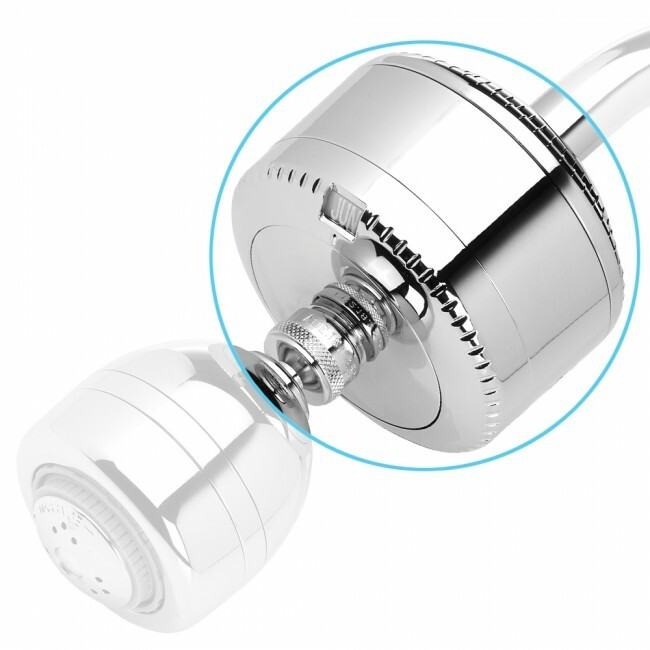 Q: What types of showers will this shower filter fit? A: A fixed shower head which can be unscrewed from the fixed shower arm. It does not fit hose showers. A: Yes, you do not need a plumber to install it. 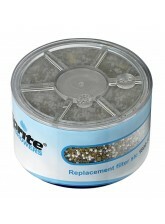 Q: Are replacement filters readily available? A: Yes, you can buy replacements from our online store.